"A story as fresh as the girls in their minis... and as tough as the kids from London's East End!" Sidney Piotier stars as Mark Thackeray, a teacher from British Guiana who accepts a job teaching at a tough school in the East End of London. Thackeray finds racial tensions within the school and this tough area of London run high at all times, with his students struggling to concentrate on their studies for a variety of problems. Thackeray believes a new approach could benefit his students and sets out to win them over and change their lives and his own for the better. 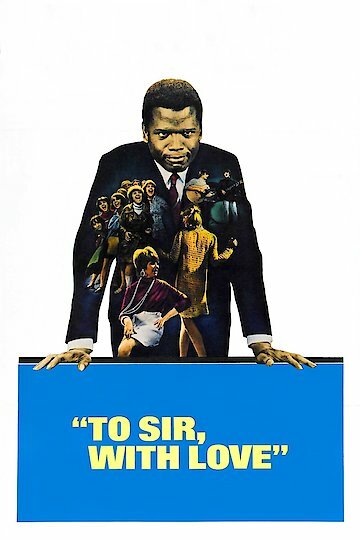 To Sir, with Love is currently available to watch and stream, buy on demand at Amazon, Vudu, Google Play, FandangoNow, iTunes, YouTube VOD online.